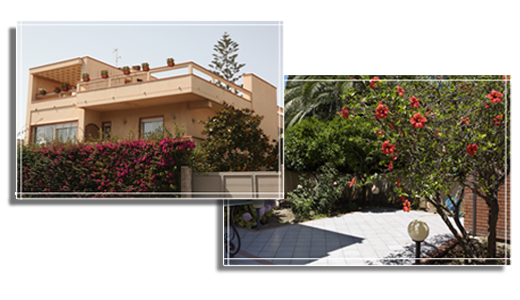 Lovely villa in the garden containing palm trees and beautiful local plants found in this area.Sabbia D’Oro is situated 10 meters from the seaside in San Leone, Agrigento. Our fine sandy beach is a short walk from the B&B and you can find all the beach accessories you need. You can also go for long relaxing walks or just go bike-riding along the seaside up to the port where you can see fishermen coming back from the sea while the choose their best fish on the sand. At Sabbia D’Oro, each room is comfortable and bright with air-conditioning and private bath where you can see the natural garden and crystal clear sea of San Leone. 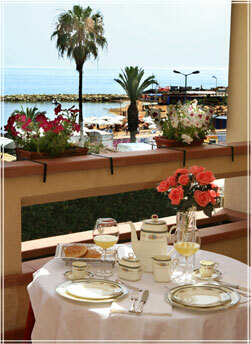 Breakfast is served in a special hall or a beautiful terrace overlooking the fascinating view of the Mediterranean Sea. Beautiful sweet-scented flowers in our garden will make your holiday relaxing. You can choose to have your delicious meals from a variety of local pizzerias or restaurants nearby and enjoy the splendid San Leone seaside. 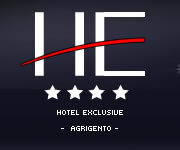 Sabbia D’Oro is situated at 2 km from the breathtaking Valley of the Temples and 4 km from the historical center of Agrigento. The bus stop is 20 meters from our B&B therefore a car is not essential. Mandatory field Answer the following question* What is the sum of 3 and 6? What is the sum of 3 and 6?